Granby: Janet A. Beauregard, 89, formerly a lifelong resident of Winsted, died Saturday, January 13, 2018, at Meadowbrook of Granby after a long illness. She was the wife of the late Maurice J. Beauregard who died in 1993. Born in Winsted, October 6, 1928, she was the daughter of the late Emmanuel J. and Bertha (Arbour) Rouillard. 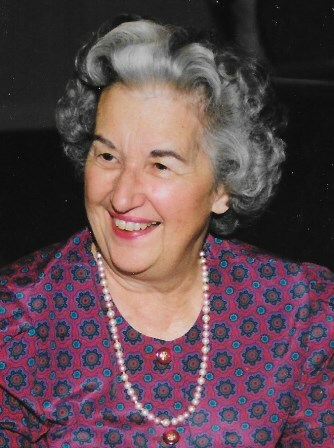 Janet had attended local schools and was a graduate of The Gilbert School, class of 1946. She retired after several years as secretary and bookkeeper in the office at St. Joseph Church. Janet was a member of the Victory and Riverton Granges, former secretary of the local AARP Chapter & was a volunteer at the Auxilary for Community Health Thrift Shop. Her survivors include eight children, Peter J. (Vicky) Beauregard of Shrewsbury, MA, Alan M. Beauregard of Torrington, Steven M. Beauregard of Canton, David E. (Debbie) Beauregard of Litchfield, Denise A. Beauregard of OH, Diane M. (Wayne) Nadeau of Torrington, Joan F. Conner of East Granby, and Susan J. Orr of Torrington; a brother, Conrad E. Rouillard of East Hartford; a sister, Joan Lambour of Winsted; 15 grandchildren, 14 great grandchildren and one great great grandchild. Funeral services will be held on Saturday, January 20, 2018, at 11:00 AM at St. Joseph Church in Winsted. Burial will take place in St. Joseph new Cemetery in the spring. Friends may call at the Maloney Funeral Home 55 Walnut Street, Winsted, on Friday, 4-7 PM. and on Saturday prior to mass. Memorial donations may be made to The Alzheimer's Association P.O. Box 96011, Washington, DC 20090-6011. To leave an online condolence, please visit www.maloneyfuneral.com.